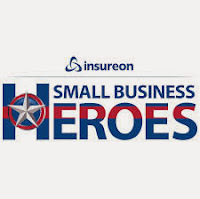 Small Business Heroes is a program sponsored by Insureon, a leading online insurance broker for small businesses. This year, the company pledged to help out small businesses by earmarking $500,000 in grant money to help them grow and become successful. Every month, the company chooses up to three micro-businesses to award grants. There are no strings attached. Business owners can simply go on the website and describe their business and how the grant will help them. The grant request is called a "wish" and if selected could earn the business owner $1,000 in grant money. Why is Insureon doing this? The company explains that because they do a lot of business with small business owners, they understand how difficult it is for small businesses to survive and grow. The company calls them Small Business Heroes because these owners possess the same qualities of a hero--courage, strength, and ability.